The Tactical Housewife: Rant Alert : Chocolate And Candy At The Store Checkout! 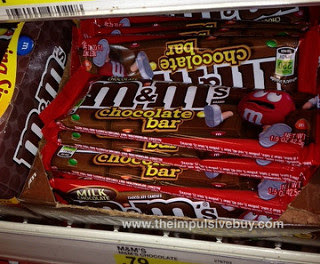 Rant Alert : Chocolate And Candy At The Store Checkout! My daughter has just reached the age (2.5 years) where she now understands the concept of "I want it". This has made shopping with her increasingly difficult and frustrating. It's really not so much that she wants everything she sees but when she does see something she wants she will kick, fuss and scream until I either give in or we leave the store. We have all had this problem at some point and thankfully most people that are out shopping understand that it's not really your fault that your child is causing a scene but it can still be embarrassing and frustrating. The problem is really how the stores are laid out. Candy and chocolate are at kid eye level not the parents eye level. It's all wrapped up in pretty princess packaging and bright colors which of course makes the child want it even more. I can get through most of the store without a hitch but when we reach the cash...that's when the nuclear explosion starts. Every store I go to has chocolate and candy at the checkout...and not on the counter or behind the counter, it's under the counter right in the face of each and every child that walks through the cash. I know what they are thinking, "Let's put the junk where the child can see it and that will make the parent buy it and we'll make more money!". This is so frustrating because I am trying to teach my daughter that she can't always have everything she wants when we are shopping. I of course buy her a treat from time to time but that doesn't deter the lay on the floor of the store, kicking her feet tantrum when I do say no. 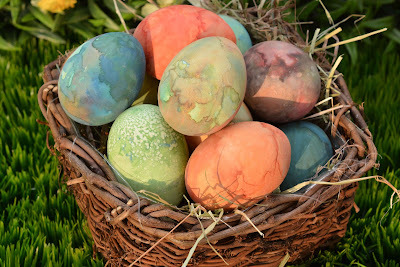 It has been especially bad lately with Easter just past. Now all the chocolate is on sale and it's everywhere! I had to stop taking my daughter to the store with me because her tantrums were just getting ridiculous. This is really not the course of action I wanted to take because she really does love to go shopping with me but I am at a loss of what to do to stop the tantrums and the temptation right in front of her is just too much for the poor little thing. When I figure out the solution to this problem I will write a post and let you all know but for now I guess I will just have to deal with it.